The Oscar-winning actress supports Bernie Sanders and says she may not be able to vote for Hillary Clinton should she win the nomination. She also alludes to the idea that even a Trump presidency would be better. That's easy for her to say. 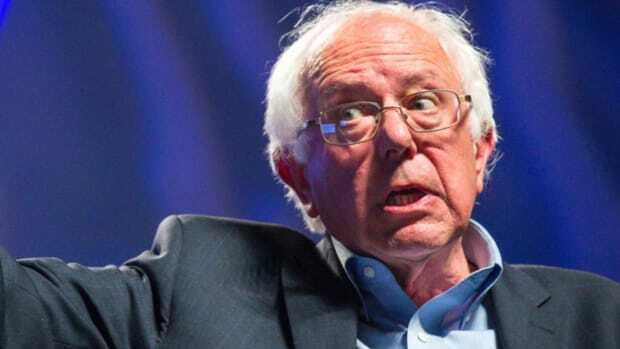 For years, whenever unimaginative conservatives wanted to level an accusation against someone who preached socialist principles while benefitting conspicuously from the capitalist system, they&apos;d call that person a "limousine liberal." And for years, the most convenient living embodiment of the stereotypical limousine liberal has always been Susan Sarandon. Her politics are far-left and they&apos;ve frequently made themselves known in the projects she chooses, as she&apos;s often played ultra-righteous characters crusading against an oppressive reactionary system; she&apos;s been arrested protesting in the name of left-wing causes for which she believes deeply; for years she was consciously coupled to Tim Robbins, another long-time favorite punching bag for the right; and, oh yeah, she&apos;s extremely rich. It&apos;s as if Susan Sarandon were engineered in a lab somewhere to be the perfect model of Hollywood liberal hypocrisy. Knowing what we&apos;ve known about her for some time, it won&apos;t surprise you to learn that Susan Sarandon is a big supporter of Bernie Sanders. She&apos;s been a regular media surrogate for him during his insurgent campaign and she&apos;s never at a loss for words when it comes time to expound on the benefits of his supposed political revolution. What&apos;s equal parts surprising and not surprising, though -- surprising because she&apos;s a very smart woman; not surprising because she&apos;s also a political ideologue completely lacking in the awareness of her own privilege -- is that Sarandon is one of the many political dead-enders who seem to be promising not to vote for Hillary Clinton if her beloved Bernie doesn&apos;t win the nomination. She not only made this abundantly clear on Monday&apos;s All In with Chris Hayes on MSNBC, she took it to the extreme and said something typically heard only from really dumb millennials on social media. When asked by Hayes about the "Bernie or Bust" movement, though not put in those exact words, Sarandon&apos;s response didn&apos;t leave much room for equivocation. 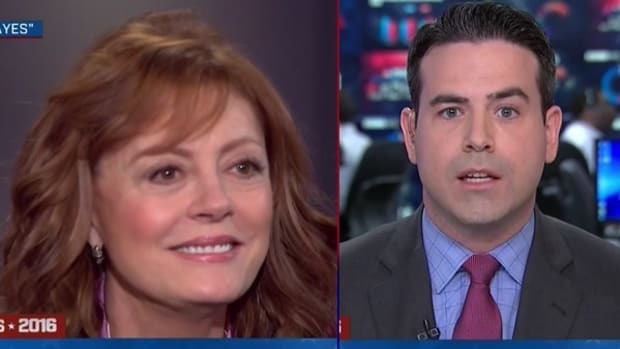 “That’s a legitimate concern,” she said, calling Sanders&apos;s rabid disciples "very passionate and principled.” When Hayes pushed back and wondered if that was, you know, "crazy" given that Clinton has largely the same beliefs as most liberals, Sarandon responded, "Yeah but she doesn’t!" She then ran down the usual vague litany of "problems" with Clinton: "She accepted money for all of those people. She doesn’t even want to fight for a $15 minimum wage. So these are people that have not come out before. So why would we think they’re going to come out now for her, you know?” Before you answer, "Because if the alternative is Donald Trump, you&apos;d be an irresponsible moron for not understanding that getting a good portion of what you want beats getting a racist, misogynistic, would-be fascist demagogue," fret not -- Sarandon has a comeback to that. 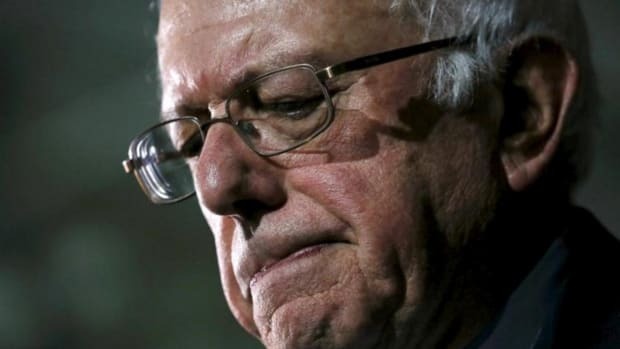 When pressed on that very possibility, even with the knowledge that Sanders himself would likely endorse Clinton, Sarandon hesitated, saying that some people just wouldn&apos;t vote for Clinton no matter what. 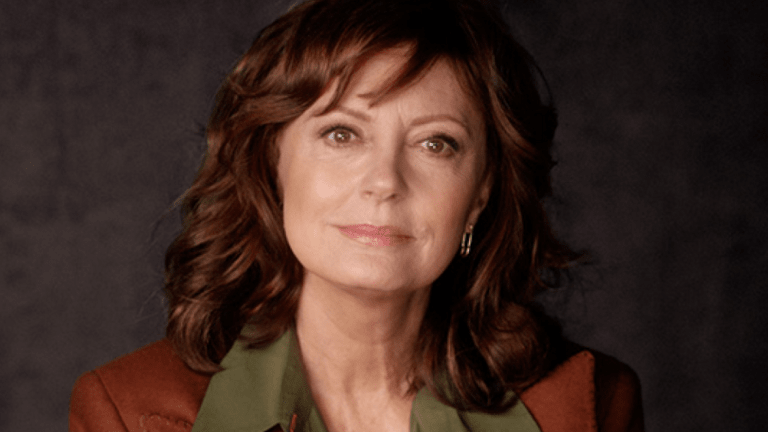 And, when pressed further on the question of whether she was one of those people, she answered that she just doesn&apos;t know, but added evasively, "Some people feel that Donald Trump will bring the revolution immediately if he gets in, things will really explode.” Hayes immediately reminded her how dangerous that kind of thinking is and Sarandon shot back, “It’s dangerous to think that we can continue the way we are with the militarized police force, with privatized prisons, with the death penalty, with the low minimum wage, threats to women’s rights and think you can’t do something huge to turn that around." And of course, Donald Trump would be a huge step in the right direction on all of those fronts. In some ways, sane people this election cycle -- the few fighting to be heard amidst the sound and fury of the extremes -- owe Susan Sarandon a serious debt of gratitude on this one. 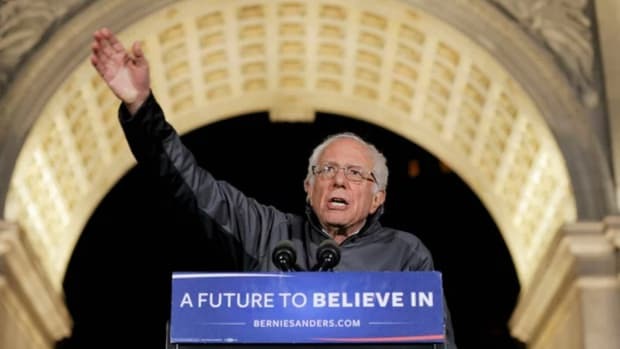 There are those who see the "Bernie or Bust" movement as strictly an internet phenomenon, one promoted only by impressionable kids who probably won&apos;t vote anyway, but Sarandon has just elevated it and given a face to it. And, as it turns out, it&apos;s the face of L&apos;Oreal, a face attached to an Oscar-winning actress and member of Hollywood royalty. 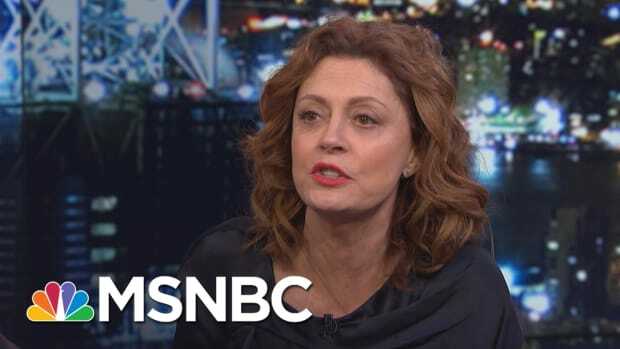 In case that isn&apos;t enough to point out the laughable irony of Sarandon&apos;s apparent willingness to throw the country under the bus, let&apos;s make it crystal clear: Susan Sarandon is as privileged an individual as they come, someone almost certainly insulated from whatever catastrophes the country might experience under a President Trump, and yet she sees no problem leaving the rest of us plebes to drown. 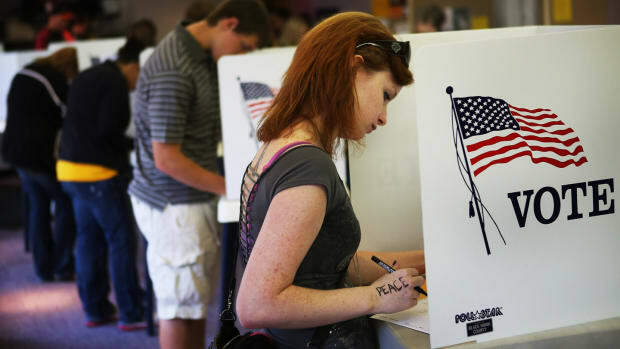 She&apos;s the prime example of the moral bankruptcy of those claiming that a Trump presidency would actually be good for the country in the long run -- because she&apos;s not the one who&apos;ll have to sacrifice to achieve her dream of a democratic socialist utopia. If Susan Sarandon really wants to allude to throwing her vote in with the "some" who claim that revolution will be the natural response to a Trump presidency, then she should volunteer to surrender her vast wealth and privilege and live as most average people would under such a neo-dictatorship. It&apos;s a breeze to talk about revolution and the compromises needed to make it so when you&apos;re not the one forced to compromise, when the only suffering you&apos;ll do is shaking your head in disapproval and consternation as you look down at the plight of everyone else from your $1.75 million Greenwich Village penthouse. Sarandon wants instantaneous transformation but, like so many pushing for Bernie Sanders&apos;s version of instantaneous transformation, she doesn&apos;t want to pay for it and she won&apos;t settle for the incremental change that our system is designed for and which has made the lives of so many better for so long. She has moral certitude and a host of vague accusations and buzzwords, but little else. Actually, that&apos;s not true at all. Susan Sarandon has so much else. And that&apos;s exactly what makes her arrogant posturing so worthy of ridicule. Time for Yet Another Episode of "What Stupid F*cking Thing Did Susan Sarandon Say Now?"